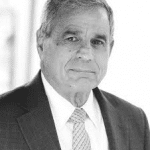 Robert N. Agre is a Senior Partner at Agre & Jensen, where he practices legal ethics, criminal law, trial practice, personal injury, and municipal law. Mr. Agre regularly represents attorneys before District Ethics Committees, Special Masters, the Disciplinary Review Board, and the New Jersey Supreme Court. Additionally, he frequently presents on attorney ethics. Mr. Agre is a graduate of Temple University Law School.